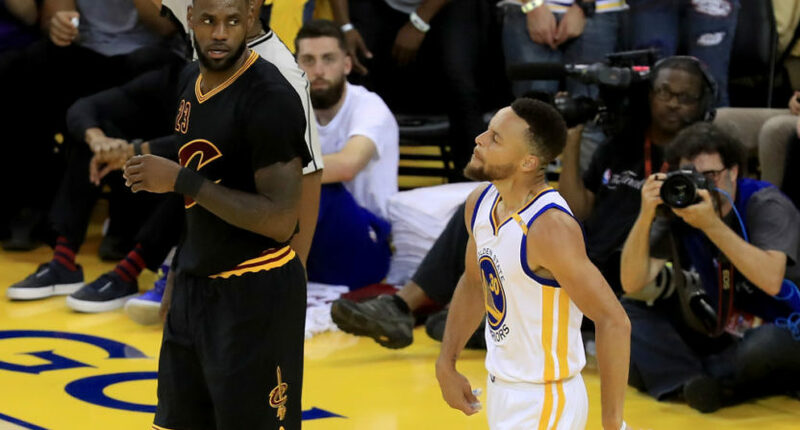 The NBA Finals — like the rest of the playoffs in this once-great league — have been a complete and total bore. I think we all know who to blame: Millennials. That’s right, once again this me-first generation has banded together to spoil something for the rest of us. These lopsided Finals have shown that hard work is a thing of the past and so are real rivalries in the NBA. Kevin Durant, a Millennial who used to be a respected player, took the easy road by joining the league’s best team. And just like Millennials who are too lazy to get off the couch and rely on “apps” to deliver things right to their doorstep, this Warriors team is afraid to chip a fingernail by driving to the paint. Instead, the Splash Brothers (both Millennials) and company have put great centers out of work the same way Amazon drones have taken the jobs of hardworking American delivery men. And don’t get me started on LeBron James. LeBron (who is 32 but definitely a Millennial) is perfectly fine with sailing to another second place finish in his sport’s biggest stage. Keep filling up that shelf with participation trophies, LeLoser. His teammate, Kyrie Irving (a Millennial who could only finish one year of college), hit one big shot last year and now is on the cover of a video game? Just like pretty much every Millennial, Kyrie is perfectly fine with coasting after accomplishing anything. It’s embarrassing that these players are making millions upon millions of dollars and don’t even know what to do with it. I remember the times when players competed hard and spent their big contracts on things of true value like cigarettes and prostitutes, not snapchat glasses and avocado toast. But it all comes down to what the fans want, I guess, and unfortunately that’s where Millennials strike again. “Adults” of that generation are too concerned about what Instagram filter to put on their selfies at the game or which artisanal snack they’re getting at the concession stand to worry about who’s winning. But that’s fine, this generation can “swipe right” on this version of the NBA Finals. I’ll be at Buffalo Wild Wings watching VHS tapes of real basketball instead.